The EU will most likely cease to exist the way we know it soon because the project, which was meant to marry dozens of different cultures, histories and ambitions, "was always bound to fail" and is currently struggling under the weight of a major refugee crisis and a possible Brexit among other crises, analyst Mark Fleming-Williams asserted. In fact, it is not an EU specific issue – any similar initiative would be "by its very nature doomed," he wrote for Texas-based intelligence firm Stratfor. "It would inevitably encounter insurmountable levels of nationalistic resistance, and eventually the project would stall. … The driving forces within Europe are national in nature, and countries will ultimately put their own interests first." The most likely scenario, according to Fleming-Williams, would see the EU transform into several smaller alliances, with several countries completely left out. The "ghost" of the bloc's former self will survive through integration efforts of Germany, France, Belgium, the Netherlands and Luxembourg – five of the union's six original members. This time, however, Italy with its debt and immigration challenges will not be invited to join. The mini-EU would not be immune to troubles plaguing the existing bloc. 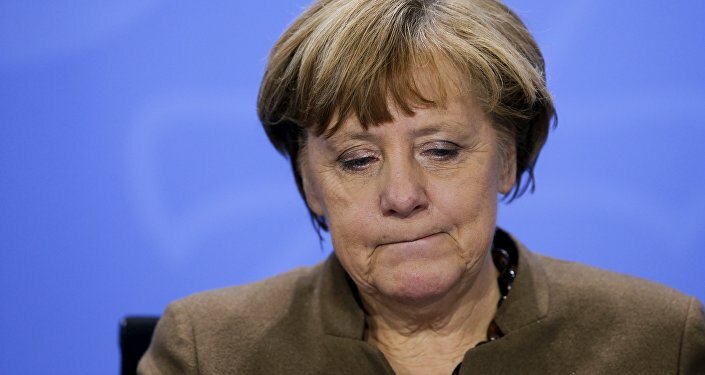 "The fateful fact here is that the Franco-German relationship has been one of the major fault lines in the current European Union, meaning that a smaller version of the bloc will be similarly flawed," the analyst warned. French President Francois Hollande (L) and German Chancellor Angela Merkel (R) address a press conference with the Ukrainian President following talks at the chancellery in Berlin on August 24, 2015. Scandinavian countries, according to Fleming-Williams, will create a union of their own, which is likely to be as integrated as the post-EU core. The analyst also noted that Germany's influence will likely decrease in the coming decades, but its trade ties will allow Berlin to play a leading role in a business alliance with its European partners to the east and southeast. This will be a relationship in which "the free movement of goods and capital is encouraged, but the free movement of people is restricted," Fleming-Williams explained.